I am kind of a LAW & ORDER superfan. I used to program my VCR for, like, a week at a time to make sure I caught every episode – not just the new ones on NBC, but the reruns on A&E and on TNT. I had an Excel spreadsheet that cross-referenced which episode was on which tape, and I cross-referenced all of that with my copy of the unofficial Law and Order episode guide, which had behind the scenes details about each episode along with the recaps and plot summaries. 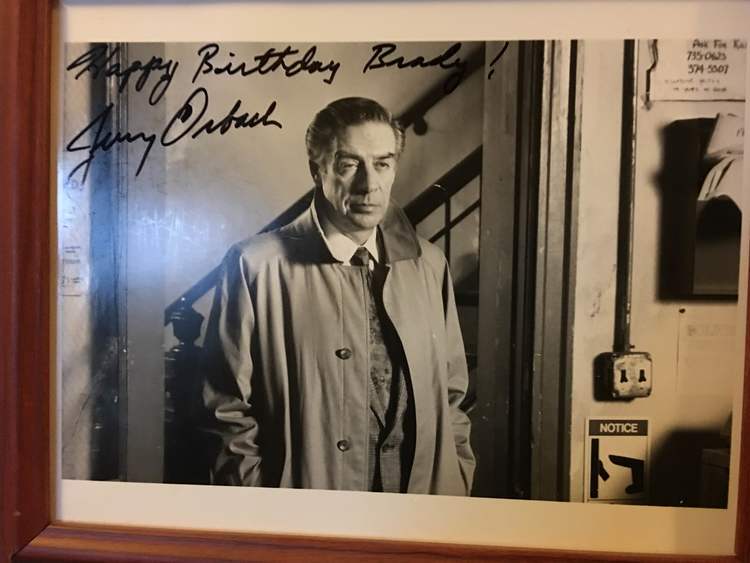 One year I even got an autographed photo of Jerry Orbach for my birthday. Lennie Briscoe himself said I should have a happy birthday! Needless to say, I did. Anyway, my friends Rebecca and Kevin from the Crime Writers On… podcast are L&O fans too, and so they brought me and the incomparable James Weirick on the show to take on the big questions: original recipe vs. SVU? Briscoe and Logan vs. Briscoe and Curtis? 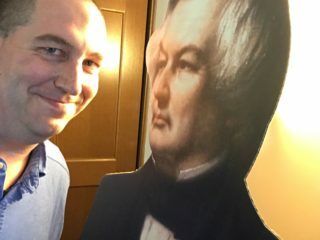 McCoy or Stone? And what the heck was in those sandwiches Adam Schiff was always eating when he barked “MAKE THE DEAL!” at the DAs?